This is probably going to offend a lot of people at least a little bit, but I have to get it off my chest. I am really annoyed by people who say "Q1", "Q2", etc. when they are talking about quarters of the year. I may be alone, but I find it to be one of the most subtly annoying bits of corporate-speak imaginable. Is it my lot in life to wait patiently? If I want to stay where I am, it will be. I do not want to stand by and cower in the shadows of 'great men', hoping that someday a few rays of sunshine will come my way. I want to bask in the sunlight of my own creativity, my own foresight, and my own sweat. I will take both risk and reward in that. 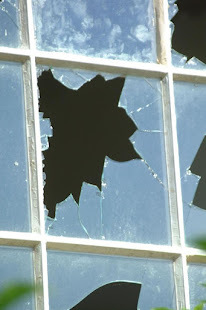 I have been looking for my door into summer, hoping that it would be around the next corner, all the while not knowing that all I had to do was cut a hole in the wall. Organizing for Action (OFA) send out the email below yesterday, detailing the dastardly deeds of the left's favorite whipping boys, The Koch Brothers (Dun-dun-dunnnnn). When you get past the class warfare, the envy, and the assumption that youth are an ignorant class of rubes who will follow anyone giving away free beer straight to their death, the hypocrisy becomes a little bit more clear. OFA thinks that throwing a party and giving away free alcohol to consenting adults in an effort to celebrate lack of support for an intrusive government edict is some "sick crap." Yet, by their support of the bill, they favor penalizing these same poor rubes for being too ignorant to purchase a fed-approved commercial product. I have to hand it to them that this is a fairly clever play on the classic "Don't Tread On Me" flag, if one is willing to commit willful ignorance with respect to what "treading" means in any real sense. The sentiment behind "Don't Tread On Me" is Peace and could be elaborated to, "Don't steal my stuff, make me do things against my will, or otherwise mess with me." Obamacare is a federal law, including myriad rules, regulations, and mandates piled upon an already highly-regulated, semi-socialist medical system. Without getting too deep in the weeds, "My Obamacare" could be elaborated as, "my right to healthcare services provided by others at a price not determined by mutual agreement and regardless of my ability to pay." 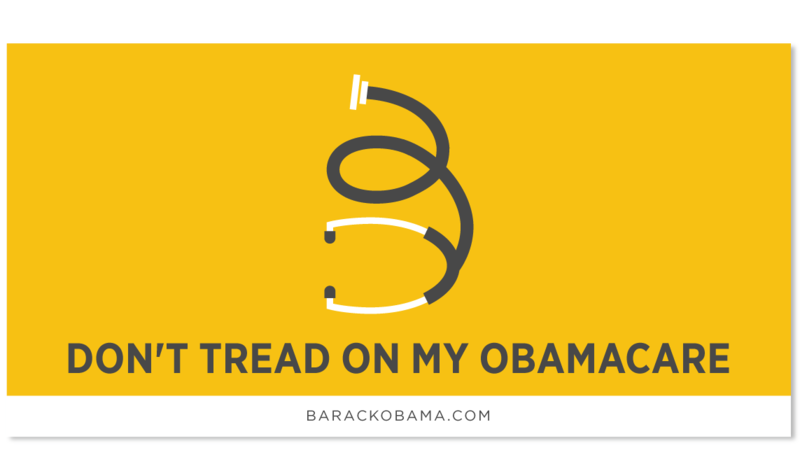 So, "Don't Tread On My Obamacare" really means, "Don't try to stop me from forcing others, through my agent (the state), to provide me a service they may or may not agree to under voluntary exchange." What mental contortions must one achieve in order to think that this is the way civilized human should behave? I've said it before, and I will keep saying it until I feel it is no longer necessary. Rights are those things that should be respected by others, not provided by them. I had an epiphany this morning--in the shower as usual. I have been working for the last couple of evenings on my taxes, and a family member with whom I have had numerous conversations on the topic came to mind. He knows a considerable amount about the subject, having worked for an accountant for a number of years and heading a household since the mid-1980's. He knows the deductions inside and out and keeps up on the vagaries of the code, and he exploits them to his maximum benefit. For this I do not blame the man. In fact, I find it quite laudable, as you might imagine. But, what you don't know about this man is that he has never met a government program he didn't like. I wonder if the thought has ever crossed his mind that his desires for the State to bring us all to Nirvana are countered by his legal attempts to shirk his duty as a citizen? I hit my elbow on the bathroom wall this morning while towelling off. This was followed by immediate pain and tingling shooting down my forearm and into my fingers that lasted for a minute or two. "Viola!" I said to myself. "People who believe in intelligent design must have never hit their 'funny bone'! No intelligent designer would leave the ulnar nerve so vulnerable."